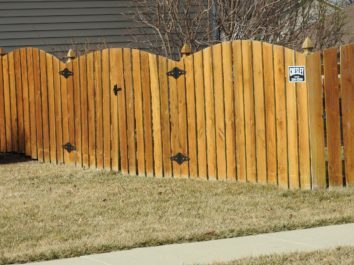 Are you looking to have a wood fence installed in your Collinsville, Illinois yard? If so, trust in the professionals at Chesley Fence & Deck. 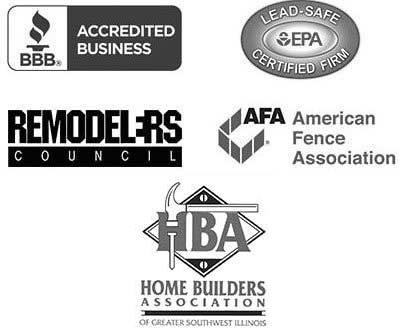 Founded in 1967, our company has been supplying homeowners like you throughout the region with remarkable fencing options and reliable installations to match. We are dedicated to making sure that our customers are 100 percent satisfied with every step of the process and are treated with the utmost care and respect that they deserve. As a testament to this commitment, we even maintain an A+ rating with the Better Business Bureau. And, to ensure that your new wood fence always looks and functions at its best year after year, we only use our own employees, never subcontractors, who must follow our strict installation standards. Our technicians will install your fencing in any configuration you desire, whether around your pool or your entire yard. Plus, as an added bonus, the installation will always be backed by a three-year labor warranty for additional assurance. If you would like to learn more about having a wood fence installed in your Collinsville, IL yard, contact Chesley Fence & Deck today.